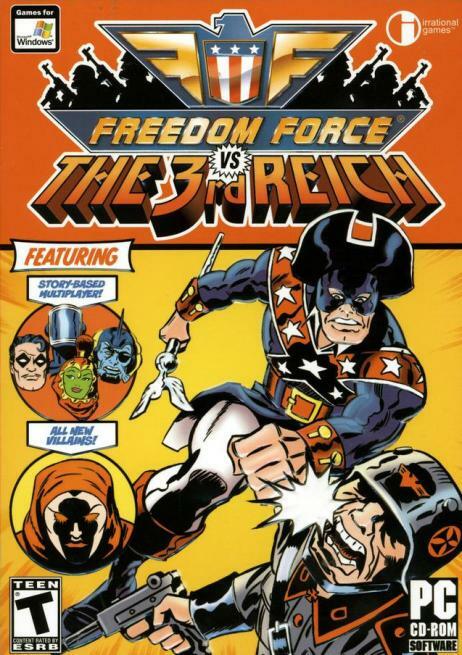 GB: First of all, how is Freedom Force vs. the Third Reich coming along, and do you think you'll make a 2004 release date? Ken: I'm going to hold off on this one. I'm fully confident we can deliver the game whenever we see fit. The question is, when do we want to release? GB: Any recent milestones or obstacles you'd like to elaborate on? Ken: There aren't really any great war-stories to speak of. The development of FFvTTR has gone amazingly smoothly. One of the nice things is we don't have external publisher milestones, so we can build the game in the manner most appropriate for successful completion of a great title, not one that has to be shown off incrementally. If you're a developer, you'll understand how that can help make a much better game! GB: Tell us about the new Gamebryo engine you're using for the sequel. What graphical enhancements can we expect over the original game? Ken: Thanks to Gamebryo, we've been able to improve the look and performance of FFvTTR by leaps and bounds over the original. We're able to do fantastic things with lighting that we couldn't imagine before. We can add tons more objects to the levels. Details, details, details. We're swimming in our newfound creative freedom. There are also some unannounced rendering tchotchkes that will knock your socks off. GB: What sort of environments will players be traveling through this time around? Any favorite locations you can talk about? Ken: That depends on what day you ask me. One day it'll be Berlin, another Cuba. Picking out favorites is never easy when you're so attached to them all. There are a bunch of truly unique levels that I can't really talk about right now, but gamers can expect a hugely diverse palate of environments. GB: Along with the new playable heroes, will all of the original heroes be available in the sequel? Also, can you briefly detail a few of the new playable heroes? How about villains? Ken: The entire cast of heroes will return.except for that ManBot fellow. Who knows what he's doing. GB: Vehicles! Care to indulge on how many vehicles will be available throughout the game and exactly how they'll be controlled? Ken: I can't get into specifics, but a tank will be one player-controlled vehicle. It will function similar to the way your characters do.